As of today 2/3rd’s of my Help Desk Individual Learning Endeavor is completed. I recently completed my video entry for the Follett Challenge after two months of taping, editing and re-editing and I am very proud of the results. 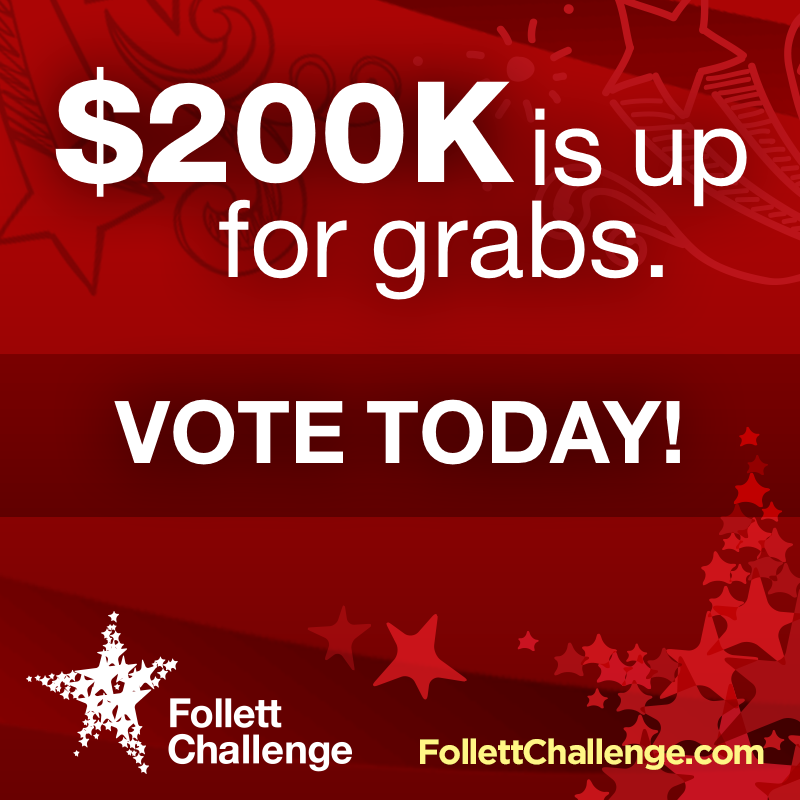 To put it briefly, the Follett Challenge is a contest structured so that even if you do not win the contest you have broadcasted your program to the world and received global recognition. The video I have created is a promotional video for the Burlington High School Help Desk and it explains what the program is, what it does, it’s benefits to the school and district and the innovative ways in which we integrate technology. The video is embedded below. Additionally, 5 essays were required upon submission of the video to the Follett Challenge to provide Follett with a description of the program, the objectives and outcomes of the program, the methods, strategies and action steps, a discussion of previous approaches and an endorsement statement. The essays were written by myself, Mrs. Scheffer and Mr. Larkin and links to each of them are below. So now that you know what the challenge is and what I have submitted, I would very greatly appreciate your vote. 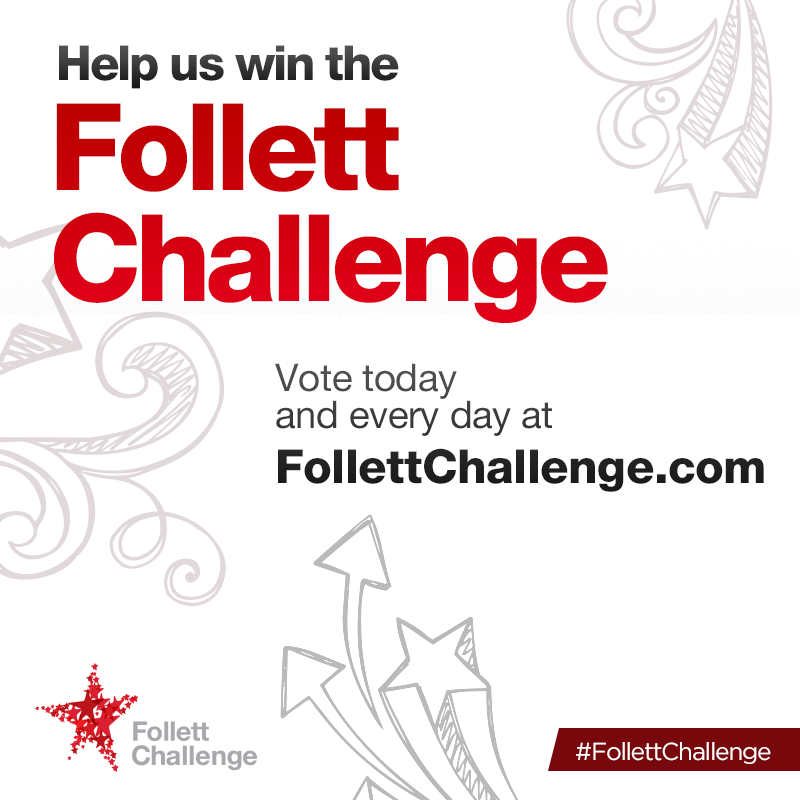 The winner of the Follett Challenge is picked partially based off of the reviews of judges and partially based off of the amount of votes it gets on the Follett Challenge webpage. Voting takes place between January 19th through the 30th and you can vote more than once. All I ask is one vote per day and you could be putting BHS one step closer to winning our share of $200,000 which is either $30,000 for the Grand and Semifinalist Prizes or $8,000 for a People’s Choice Video Winner. So PLEASE vote for BHS and the Help Desk every day from January 19th through the 30th! To encourage others to vote for us spread the word! Send out tweets reminding people to vote for us or share these images to your social media sites. Thank you in advance and happy voting! This is my blog for the Burlington High School student-run help desk! I'm excited to being posting on here frequently and creating and posting things that are innovative and helpful! This entry was posted in Individual Learning Endeavor. Bookmark the permalink.